Reef Indy is almost one years old. He has changed so much in this short period of time. Reef is an early walker; he has been walking for a month already and is really fast. 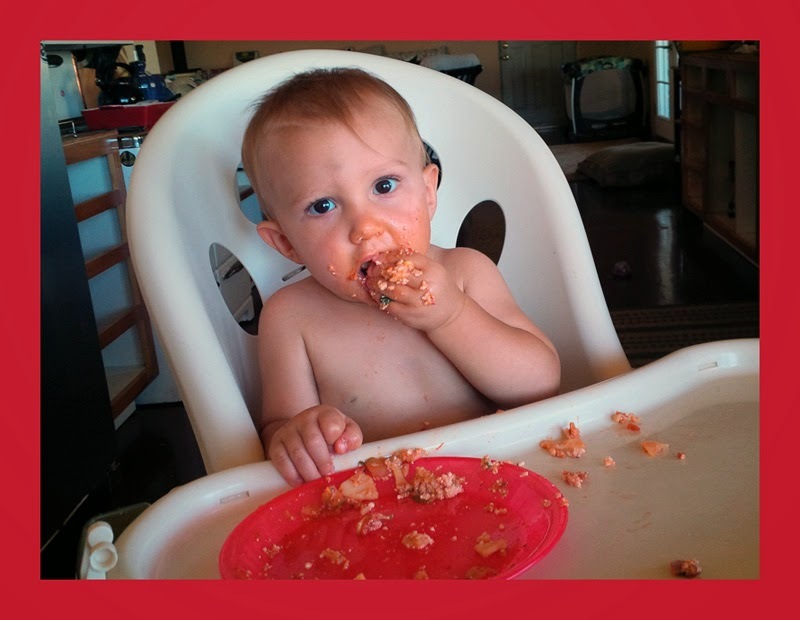 As you can tell from the photo, Reef loves to feed himself though he is a bit messy. Milestone of this month - Reef has figured how to open up doors all by himself . . . so we have to watch carefully to insure that he does not escape outside. He loves to play outside!